Peach Building Products is Utah and Salt Lake City’s Best Custom Front Door, Patio Door, Sliding Door, and Replacement Window Company. We sell and install custom fiberglass, steel, and wood entry doors. Peach is more than just a replacement window and door installation company, we have the largest selection of custom exterior doors and windows for your home along the Wasatch Front. With 25+ years experience replacing windows we know all of the tricks, tips, and secrets to make your investment last longer than any other company out there. We back up all our window and door installations with a double guarantee so there is no risk for you. This is a fun white board illustration created by one of our interior designers. We are having a free and fun contest. The person who finds or creates the perfect music or jingle to set to this video or any of our other window and door installation videos will win a $500 gift certificate towards new low E triple pane replacement windows or a custom front door system with custom glass. Whether you choose Peach for your vinyl replacement windows or a French patio door with blinds between the glass, your investment is secure with Peach. Our flexible financing options make it affordable for you to have the comfort, efficiency, and class you deserve with the latest technology in high-end custom doors with endless wood finish options. 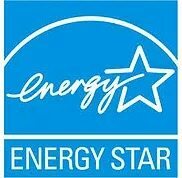 All our products have the highest energy savings rating and rebates available. We hope you enjoy our fun video sketch, and welcome your comments. Watch the entire video to see a free special offer coupon code giving you a free gift when you visit our showroom and design center. This free energy savings gift is worth $200 MSPR, and will turn your home into a more energy efficient Utah smart home and will add a fun and exciting feature to your home.